Sophie graduated from the Royal Ballet School in 2011. Professionally she has performed with the Scottish Ballet, NEBT, Glyndebourne, and more recently with Ballet Magdeburg where she performed as Marie and the Sugar Plum Fairy in The Nutcracker, as Bluebird and Canary Fairy in Sleeping Beauty and Swanhilda’s friend in Coppelia. Giuditta studied at Scuola Accademica Danza Sad, affiliated to the Académie de Danse Classique Princesse Grace. She then furthered her professional training at Foundation Marika Besobrasova, directed by Eliane Mazzotti. Her professional experience includes two years with Company Ariston ProBallet. In 2017 she danced with NEBT, performing The Four Seasons by Jenna Lee and Vertex by Daniela Cardim. Kevin studied at Esprit Qui Danse from 2004 to 2010 after which he trained at Pavlova International Ballet School. He received scholarships in 2009, 2012 for summer dance intensives at Ariston Proballet and Vancliffen Arts Foundation in Canada. In 2013 Kevin received a scholarship for workshops in Monte Carlo and to study at the Opus Ballet, with Patrick Armand. 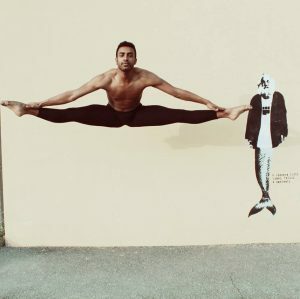 He has danced for Company Catapult on tour in Kuwait, Italy and Bermuda, Ballet-ex in Rome and All Crazy. He has performed as a soloist in the opera Jerusalém at the Teatro Regio di Parma as well as in various other dance productions in Italy. Camilla has studied at ESDC Rosella Hightower, France, Accademia Nazionale di Danza di Roma, Italy, Movarte Dance School, Italy, and Scuola del Balletto di Roma. During her training, she performed in Don Quichotte, Mats Ek’s Giselle, as Precious Stones in Sleeping Beauty and Aida. She danced with De Dutch Junior Dance Division Den Haag in the Netherlands during the 2016-17 and 2017-18 seasons in Nutcracker, as Blue Bird in Sleeping Beauty and Alice in Winter Wonderland. Lorenzo trained at Accademia Teatro Alla Scala, Milano, and at English National Ballet School (ENBS), London. As part of his training with ENBS, he performed various works including Two Symphonies in C, The Whisper (main role), Swan Lake, Lift me Up and My First Ballet: Cinderella at the Peacock Theatre and Manchester Opera House. He also performed with English National Ballet in Sleeping Beauty, and The Nutcracker at the Coliseum and Mayflower Theatre. Ermalinda studied at Teatro San Carlo between 2013 and 2016 and at Autrand Ballet France in 2017 and 2018. She participated in national and international competitions such as Youth America Grand Prix in Paris in 2017, Tanzolymp International Ballet Competition in Berlin in 2018 and the Expression Dance Competition in Florence in 2018. She has won 1st prize at ‘Anima and Corpo’ competition and gala in honour of Carla Fracci. At Autrand Ballet, France, she performed in Coppelia and Manteau Rouge and as a soloist in Paquita, Kitri and Esmeralda. Benjamin trained at Rambert School of Ballet and Contemporary Dance, London, and at Adele Taylor School of Dance, Huddersfield. As part of his professional training with Rambert School, he has performed in Itzik Galili’s A Linha Curva with Rambert Dance Company in the 2017/2018 tour, and in Dan Wagoner’s White Heat restaged by Paul Liburd MBE, performed at Lilian Baylis Theatre. In 2016 and 2017 he performed Richard Alston CBE’s Glint at The Woking New Victoria Theatre and Sadlers Wells. He has choreographed and performed work in collaboration with the RADA Lighting Team in 2017. 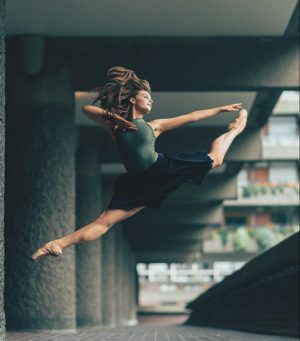 Alessia trained at New Zealand School of Dance, English National Ballet School and is a former soloist of the Royal New Zealand Ballet. Career highlights include Dawson’s A Million Kisses To My Skin, Milagros and Banderillero by Javier De Frutos, a stepsister in Hampson’s Cinderella, Michaela in Veldman’s Carmen, The Most Incredible Thing by the Pet Shop Boys and Javier De Frutos at Sadler’s Wells and Cabaret The Musical at Savoy Theatre with Will Young. She has previously danced with NEBT in 2015 and 2016. Alessia is Co-Founder of Lazy Dancer Tips. Andrea studied at the National Academy of Dance in Rome and at the English National Ballet School (ENBS) in London. As part of his training with ENBS he performed with English National Ballet in The Nutcracker at London Coliseum and in Romeo and Juliet at Bristol Hippodrome and the Royal Festival Hall. He performed various works with ENBS including My First Ballet: Cinderella at the Peacock Theatre in London and on tour, The Sleeping Beauty at the London Coliseum, The Whisper (main role) by Daniela Cardim, and his own choreography Stabat Mater. 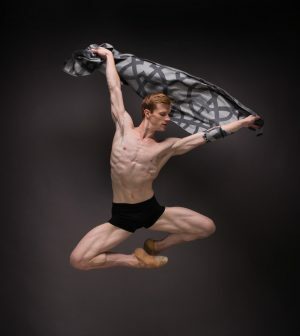 Alexander was part of New English Ballet Theatre’s inaugural year in 2012 before joining Estonian National Ballet to work with Thomas Edur and Agnes Oaks, where he danced roles in all of the major repertoire. Returning to London he worked with NEBT dancing works by Valentino Zucchetti, Marcelino Sambé, Kristen McNally and Daniela Cardim before pursuing other projects. His repertoire includes Cranko’s Onegin, Edur’s Swan Lake, Sleeping Beauty and La Bayadere, MacMillan’s Manon and Hynd’s Coppelia. Most recently, Alexander danced in Project Polunin at Sadler’s Wells with Sergei Polunin and Natalia Osipova and has created roles in English National Opera’s Marnie at the London Coliseum. Dean trained at Elmhurst School for Dance in association with Birmingham Royal Ballet. As a student, he performed with Birmingham Royal Ballet including Aladdin & Sleeping Beauty and at the Royal Opera House in the spring celebration of British dance. At Opera National Bucuresti from 2015 to 2016, he performed in Don Quixote, La fille mal gardee and Snow White. From 2016 – 2017 he was with Vienna Festival Ballet, performing The Sleeping Beauty, Cinderella, Snow White, Swan Lake and The Nutcracker. Dean Recently performed as Albrecht in Giselle with Ballet West. Aitor trained at CPD Carmen Amaya, Madrid and Central School of Ballet. In 2018 he toured with Ballet Central performing in Chris Marney’s The Nutcracker, Matthew Bourne’s Sleeping Beauty, Kenneth McMillan’s Valley of Shadows, Christopher Gable’s Cinderella, Wayne McGregor’s Far and Jenna Lee’s Black Swan. In 2017 he was a choreographer for a D4D collaboration with Central Saint Martins. In 2016 Aitor was selected in the Madrid Talent Contest and as a finalist in the International Competition Ciutat Dansa Barcelona.